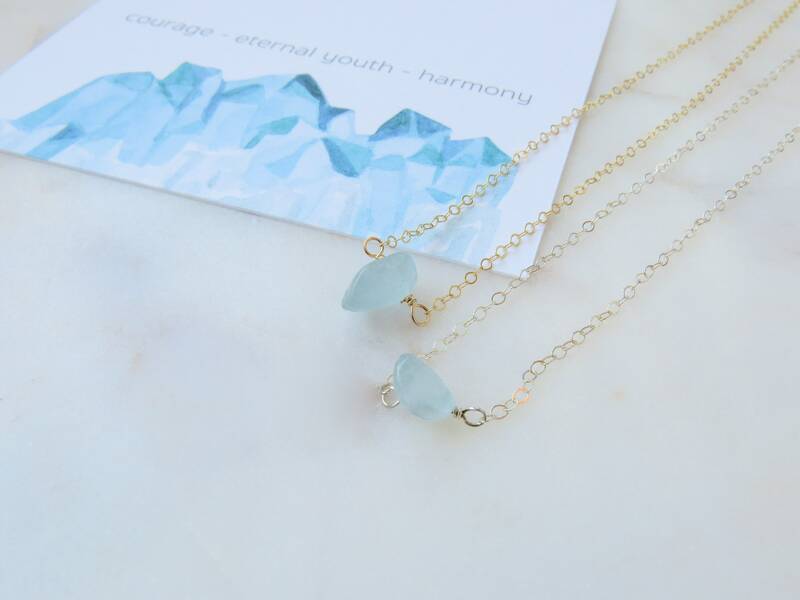 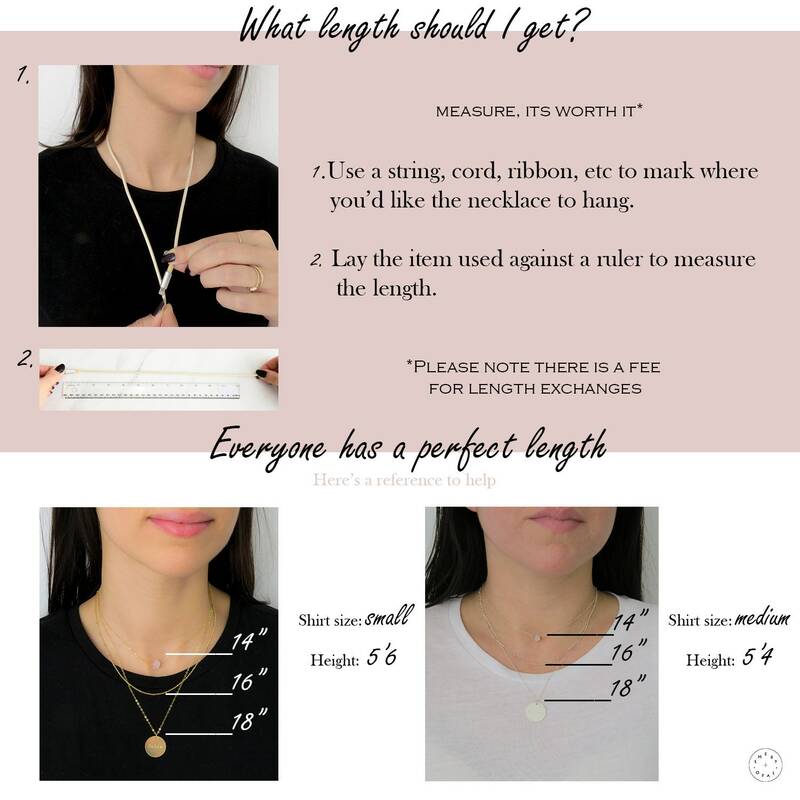 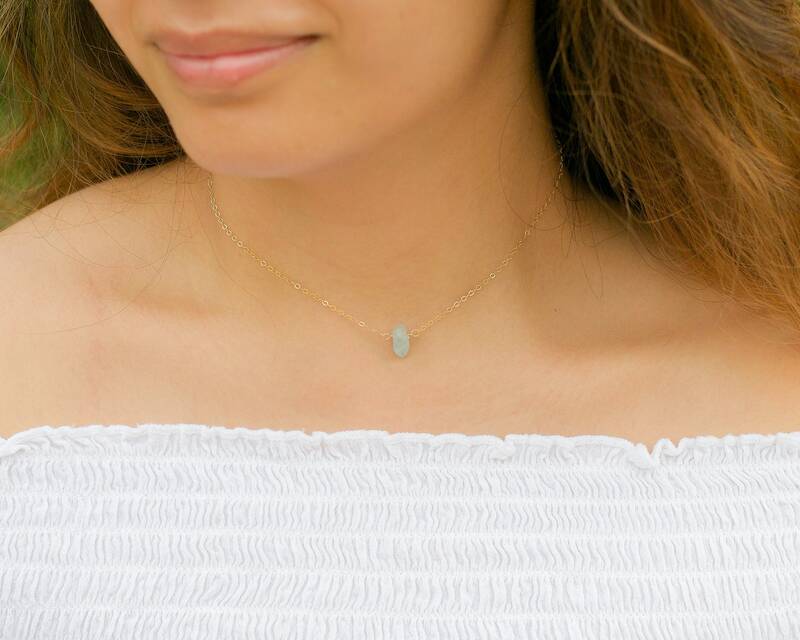 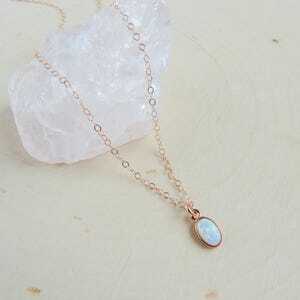 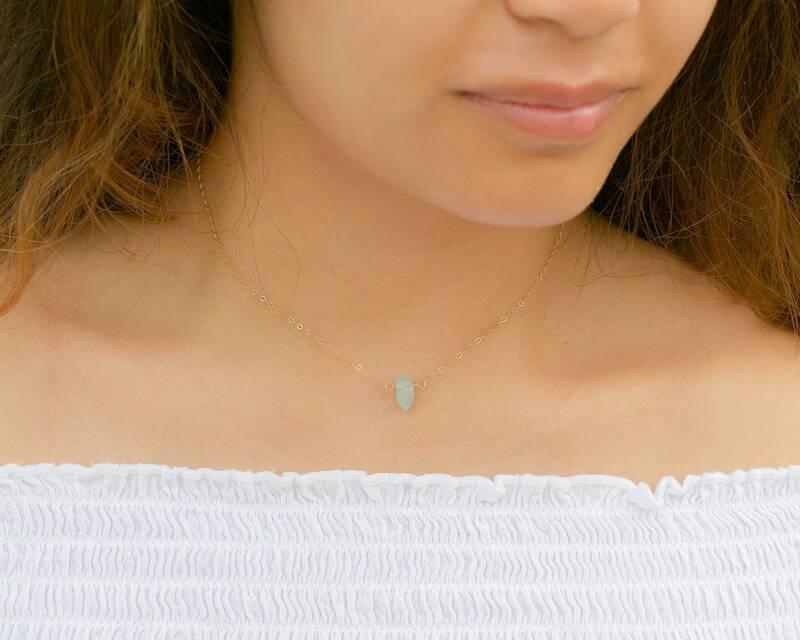 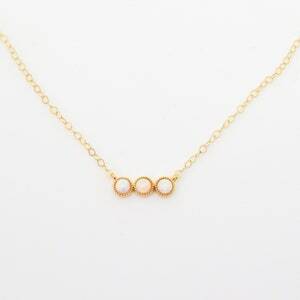 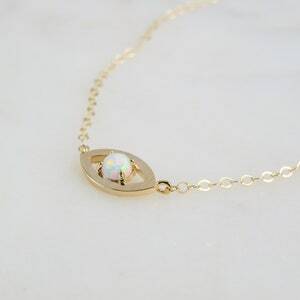 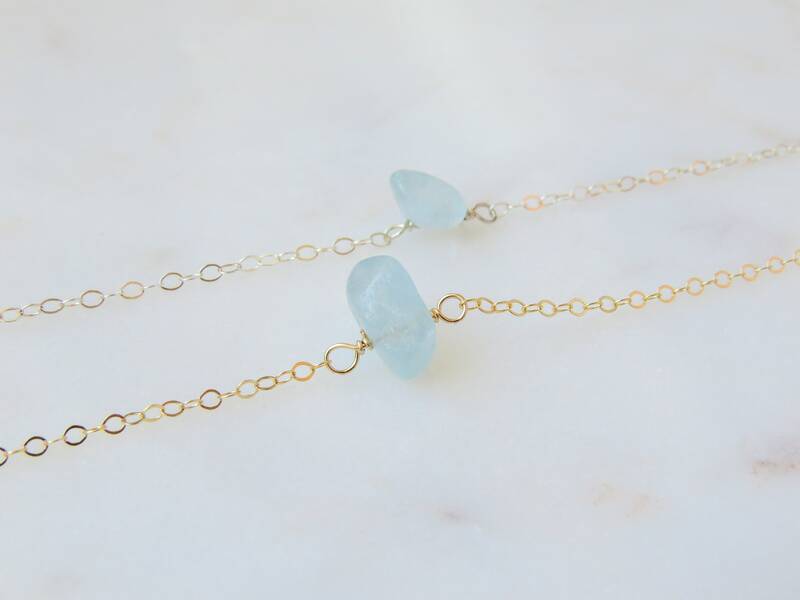 14k Gold Filled or Sterling Silver Aquamarine Necklace. 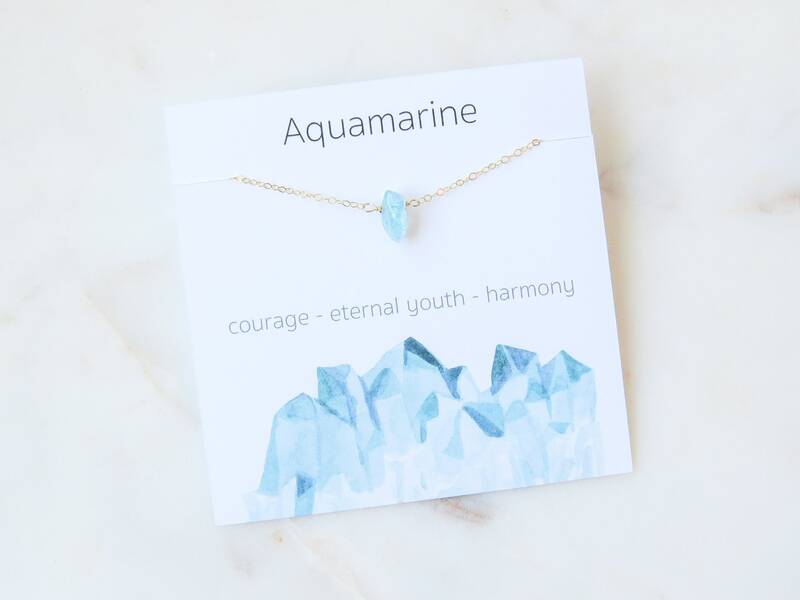 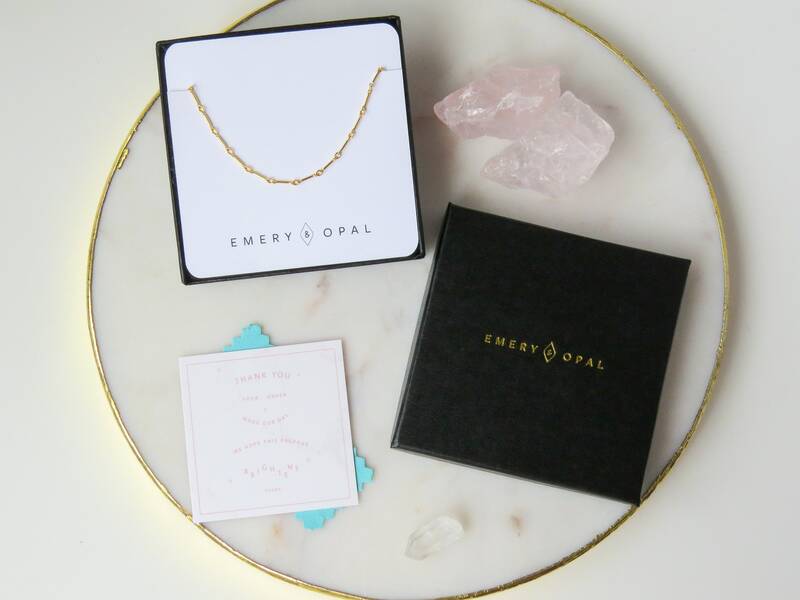 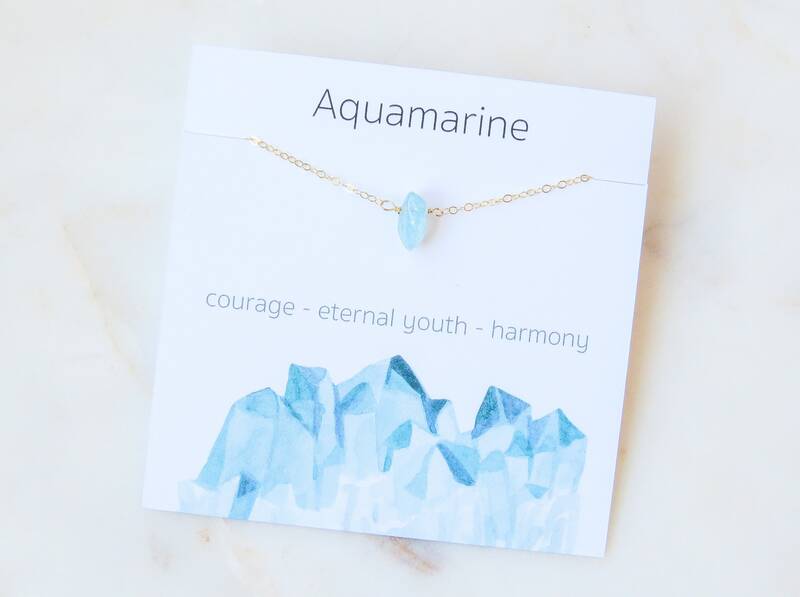 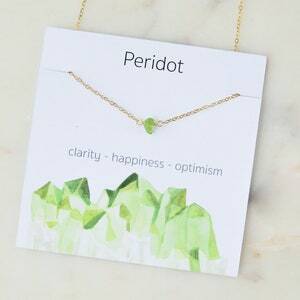 Aquamarine is the birthstone for all our March born babes. 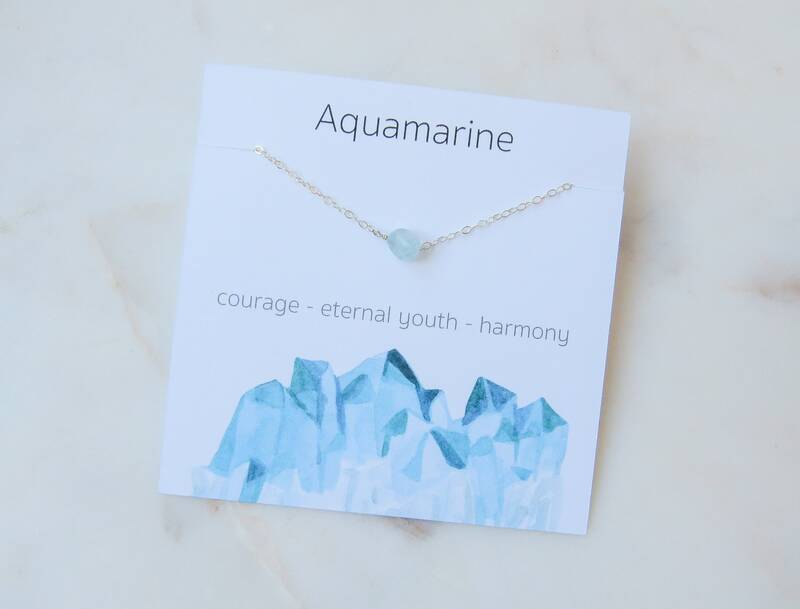 Believed to be the treasure of mermaids, it was used by sailors as a charm of good luck, fearlessness and protection. 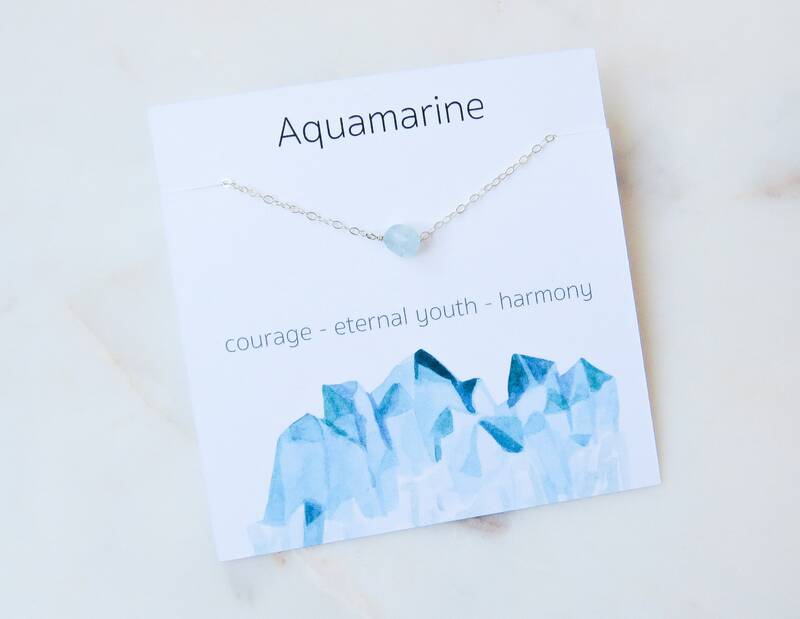 It also represents eternal youth and happiness.